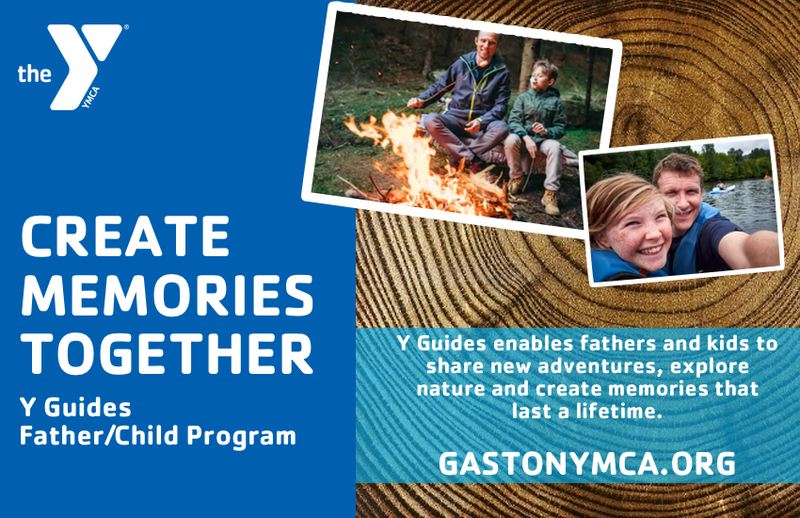 The Gaston County YMCA Y Guides program focuses on strengthening the father-child relationship through one-on-one activities. It’s through these shared experiences that fathers (or father figures) and their children grow closer and form memories that last a lifetime. Y Guides is for dads and their children ages 5-12. The participants form tribes with others in their community. These tribes are normally composed of seven to nine father/ child pairs and meet once a month. The Y Guides program is action-oriented! Tribes meet once a month. A meeting can take place in a member’s home with fun activities such as games, crafts and stories. Or, a meeting can allow tribes to organize monthly outings such as camping, community service projects, hiking, cookouts and much more. Both the father and child receive feather awards and patches for their accomplishments. In addition to the regular activities, all Y Guides tribes can participate in various larger events throughout the year. There will be archery, hiking, Canoeing, Fishing, scavenger hunts, a fun evening campfire with songs, ghost stories and other exciting surprises! Father and child attendance together is mandatory for participation in meetings, outings and activities. Plan to spend the day at Camp Tuscarora, located next to beautiful Robinwood Lake! Spend the day fishing, canoeing, hiking, and working toward your very first Explorer Patch. You can opt to spend the night, pitching a tent around our camp, or on one of our multiple camping platforms. Evening activities include a campfire, camp-style dinners, s’mores, a “flashlight nature hike”, and more. Spend 24 hours creating a lifetime of memories.